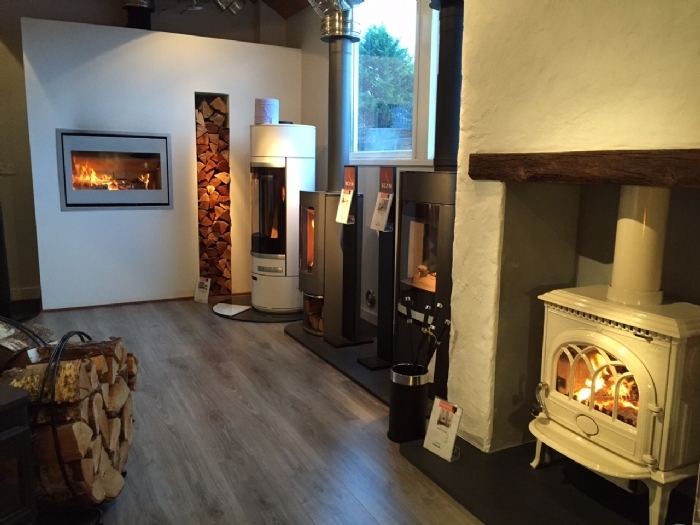 Kernow Fires News | Oh Baby It's Cold Outside! Oh Baby It's Cold Outside! Kernow Fires Oh Baby It's Cold Outside! To wish you all a very merry festive season and to remind you to come and visit us, Kernow Fires have launched our first loyalty card to fuel customers. 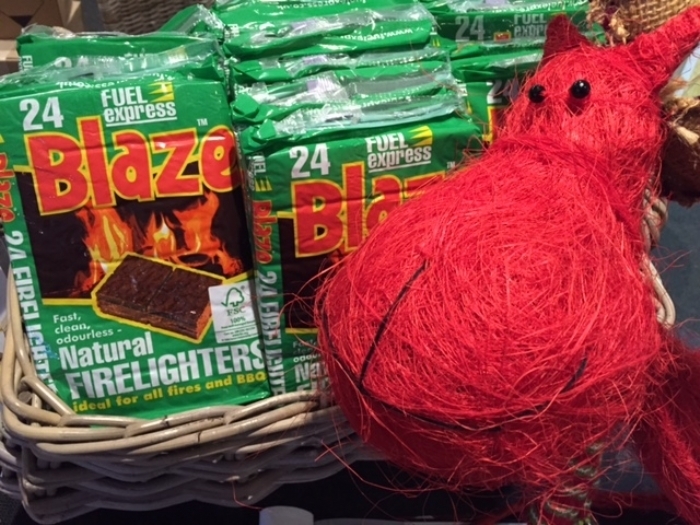 Available now when purchasing kiln dried logs or solid fuel, one stamp per bag. Collect 8 stamps and you get a free bag of kindling and it's being well received so far! 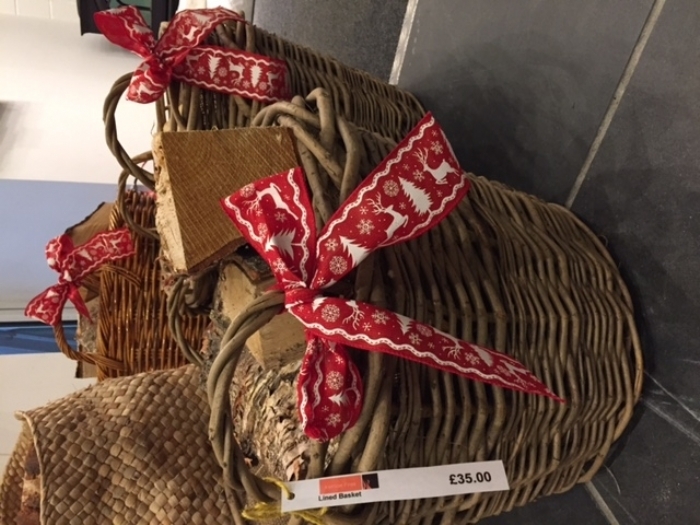 3 packs for £2, as shown by Rudolph in our pictures. 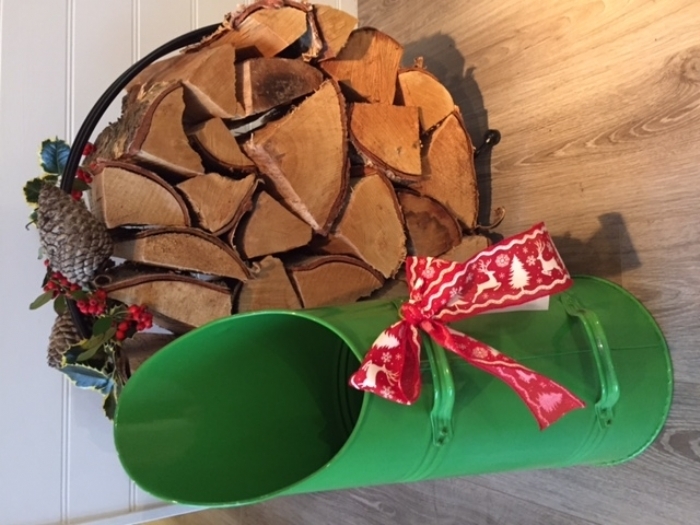 Just to make sure you can light your fire every night this December - this is terrific value. Keeping us warm on the inside. 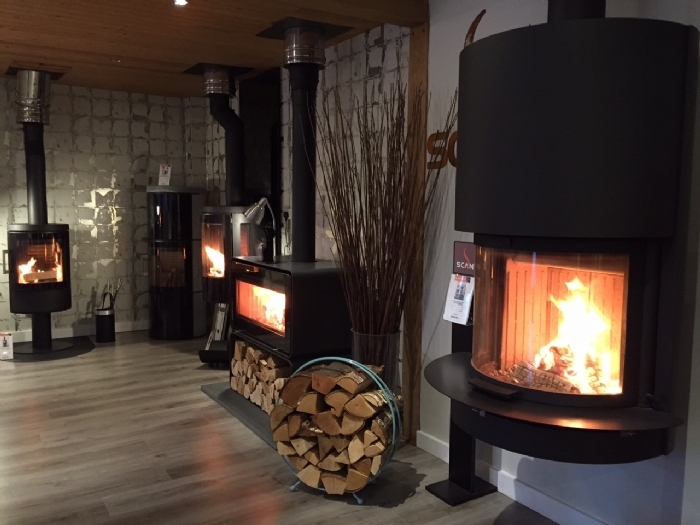 We know it's not normal but we are loving this cold Cornish winter and lighting lot's of fires in our showroom each day. 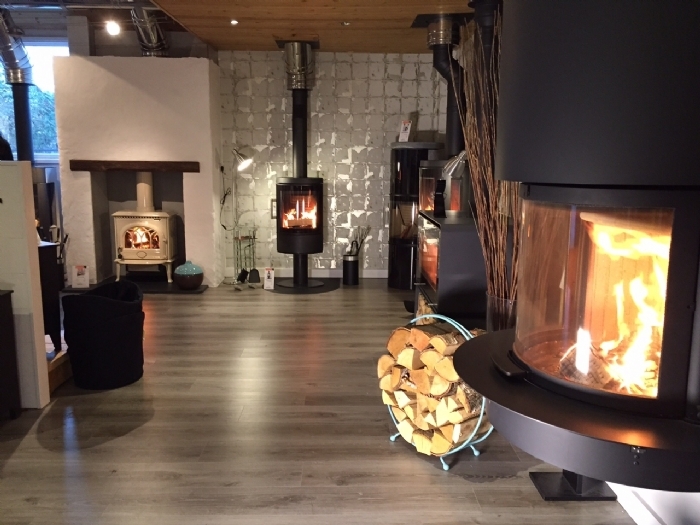 Always happy for an excuse to light another fire and they do look rather wonderful! 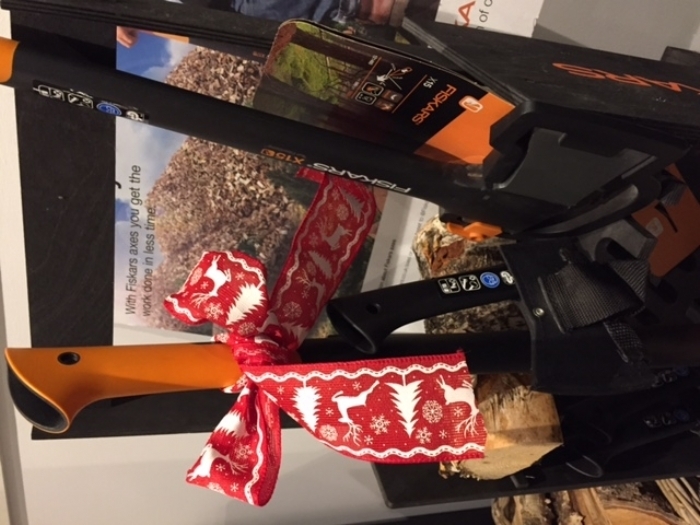 We have some great ideas for Christmas Gifts as well including lovely log holders and tools, axes and accessories! 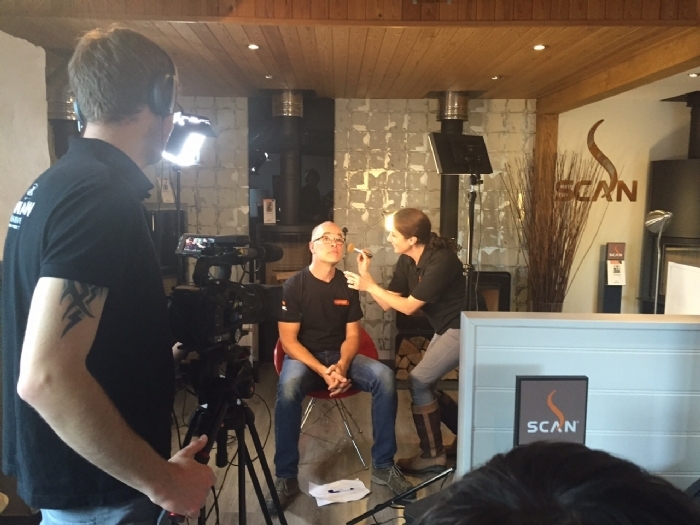 We've had some great fun with a film crew this week as you can see by our final picture. We will fill you in about what we've been up to in our next post.